The Project includes renovations of the 6th Floor Laboratory within Building No. 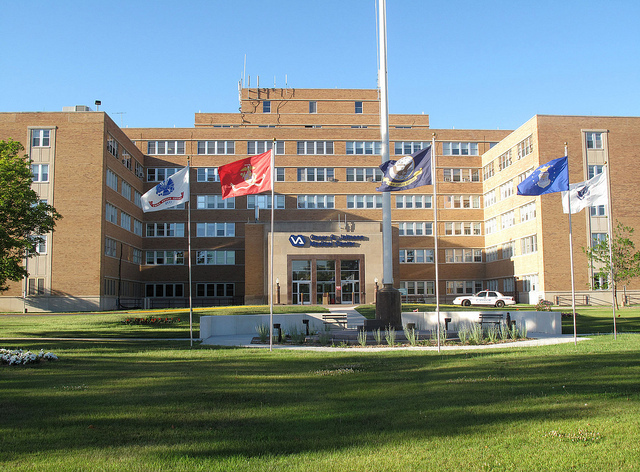 1 of the Oscar G. Johnson VA Medical Center in Iron Mountain Michigan. Work consisted of a total interior demolition & rebuilding of approximately 19,000 square feet of the existing Laboratory space including asbestos abatement, demolition of existing ceilings, walls and flooring prior to the installation of new stud and drywall wall partitions and appurtenances: Demolition of existing lighting, conduits and devices; Installation of new lighting, data, security, fire alarm systems; Demolition of existing duct-work, diffusers, controls, piping and fixtures; Installation of new HVAC duct-work, hydronic piping, plumbing and fixtures; Demolition of existing sprinkler branch lines and heads; installation of new fire suppression lines and heads to match new ceiling configurations, removal and replacement of 88 aluminum windows, drywall finishes, vinyl wall covering, patching, painting, flooring replacement and casework displays, work stations, and elevator modernization . All work was performed around high traffic patient areas which required close coordination between VA engineering department and IMS management while ensuring patient safety and infection control requirements were met on a daily bases.